The cold weather is quickly approaching regardless of whether you are ready for it. This means our days are quickly shortening because the sun is coming up later each morning and it is going down earlier each evening! This also means that the dreaded slick road conditions are quickly approaching. Unfortunately, it seems like people forget how to drive when the first drop of rain or snow falls. The reality is that you should not drive in the same manner you do every day when it is raining or snowing outside. Slow down! You should plan to leave earlier in order to give yourself more time during your commute. Use your headlights, and be sure they are always clean and clear of snow/ice. Replace your windshield wipers, be sure they are always clean and clear of snow/ice, and use them. Rotate your tires, check the tread/wear, and make sure your tire pressure is adequate. Check your brakes, replace if necessary, and always brake gently on snow and ice. Watch the news, check the weather, and be aware of any travel advisories before you leave! Make sure you always have enough gas. It is better to fill up when you reach the halfway point as opposed to waiting until the last minute! Do not use your cruise control during wet conditions, and remember to take bridges, hills, and turns more slowly and carefully. 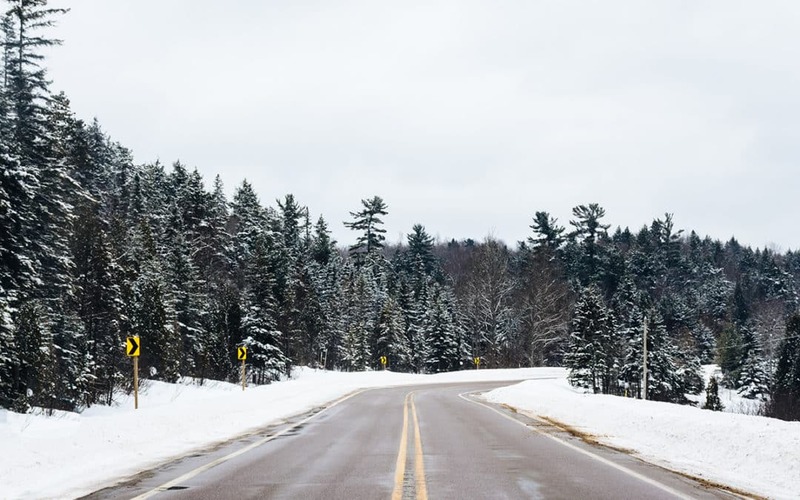 Pack winter necessities in the back or trunk of your vehicle, including snacks, water, winter clothes (snow boots, coat, gloves, hat, scarf), snow scrapers/ice breakers, a snow shovel/kitty litter, a flash light, and a blanket. If you are involved in an accident, remember to gather as much evidence as possible before leaving the scene. This includes contact information for all witnesses; photographs of the vehicles, scene, and injuries; and a crash report from the police. Then call our team at Garrison Law Firm at 317-842-8283, or fill out our contact form, so that we may investigate your accident and contact your witnesses right away in order to obtain witness statements! Remember, contact information for witnesses can quickly change; therefore, time is of the essence.